Urban cycling is blooming. 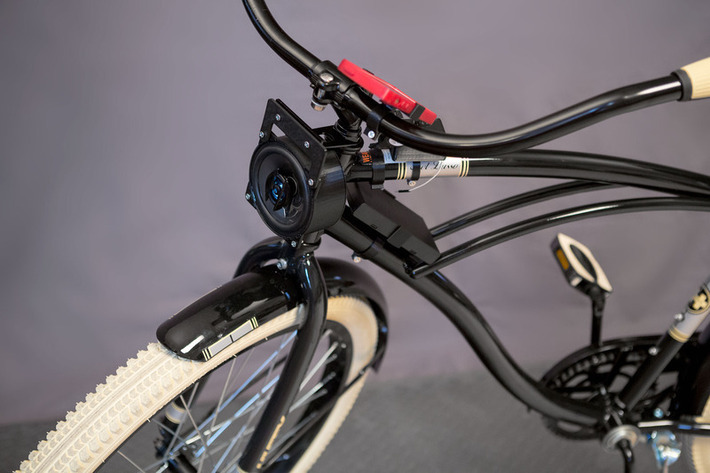 The two-wheeled monsters are reclaiming city streets and that’s good news for the planet, for our own health and the bank account. 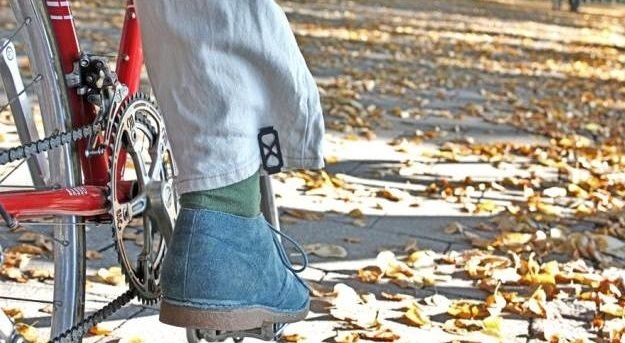 Yet, every cyclist has his own style, habits and needs, while urban bikes can’t always meet them. We’re way passed that evolutionary stage when one-size-fits-all. 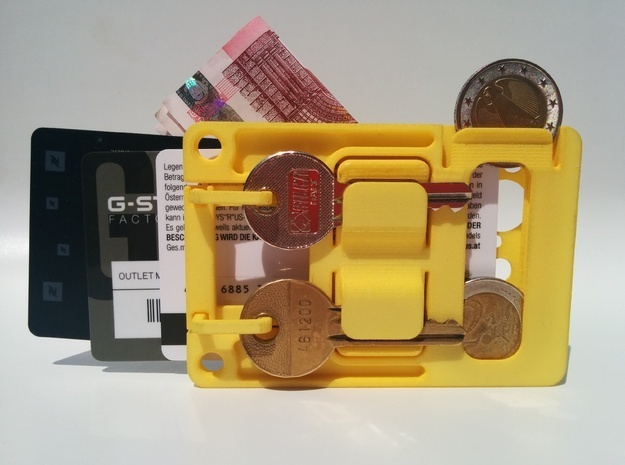 So, that’s where 3D printing comes in. 1. Carrying handle. No more awkward struggling on the stairs. 2. 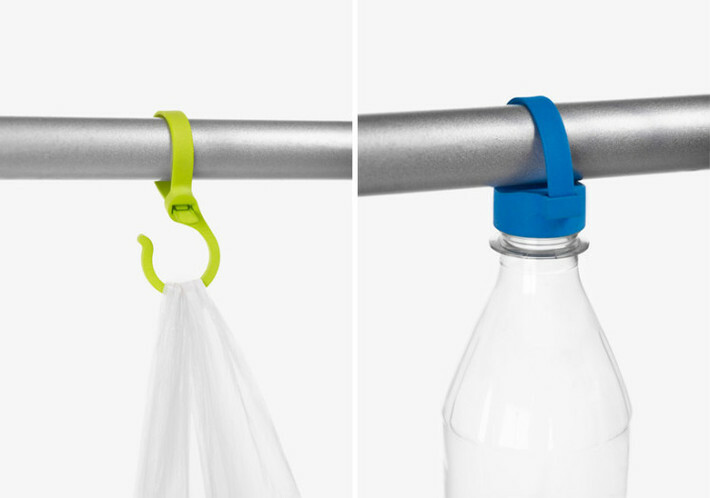 Zap-strap bag hook and water bottle holder. Stop that life-endangering driving with one hand right now! 3. 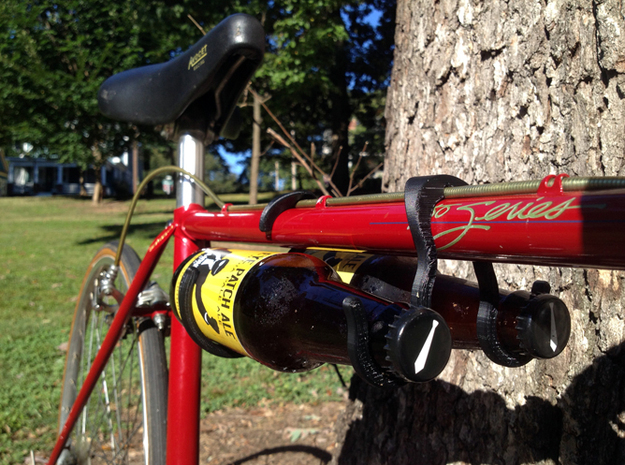 Bottle holder. Though it looks like it's made of metal, it's actually nylon and (unexpectedly) perfect for water bottles. 4. 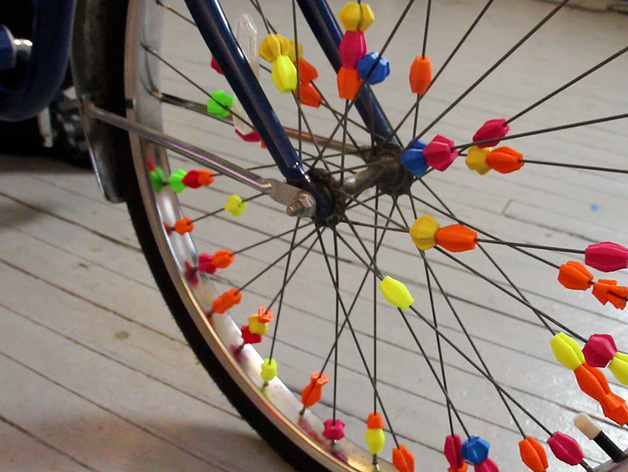 Spoke beads. How can you say you ride in style if you don't have spoke beads? 5. 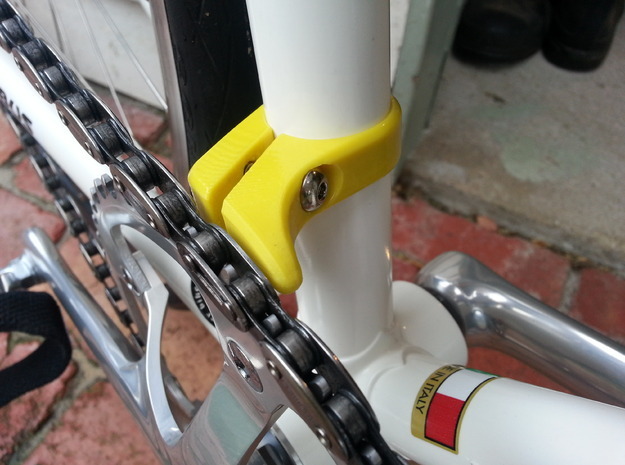 Stainless steel lugs. 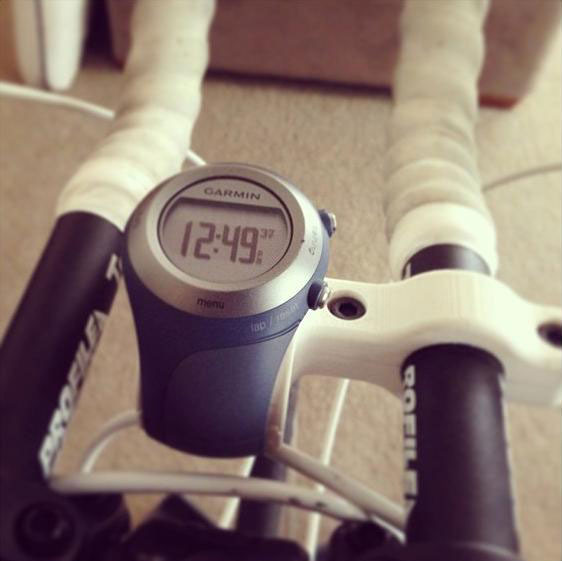 Only with these lugs on your bike you can officially refer to it as my precious. 6. 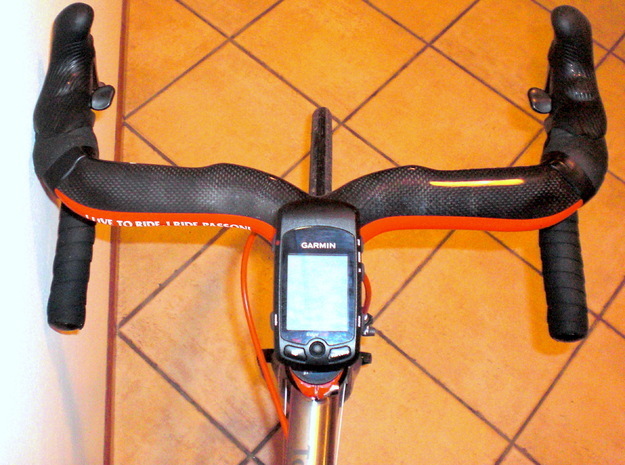 Rear-view handlebars. Don't compromise your style for safety. Have both! 7. 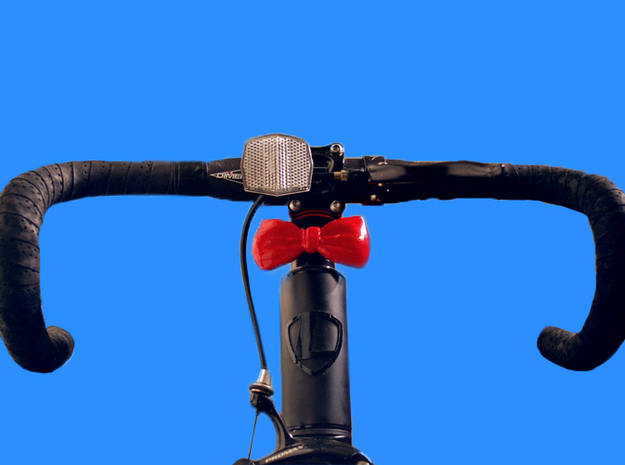 Bike bow tie. Seriously, nothing more eye-catching. 8. 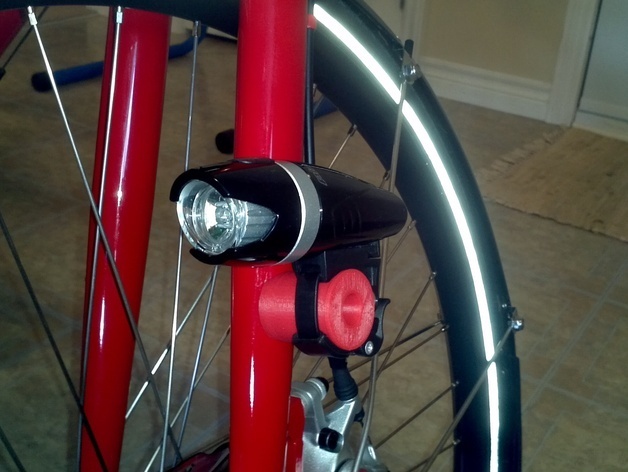 Light mount. One of those simple, practical tricks that make a massive difference. 9. 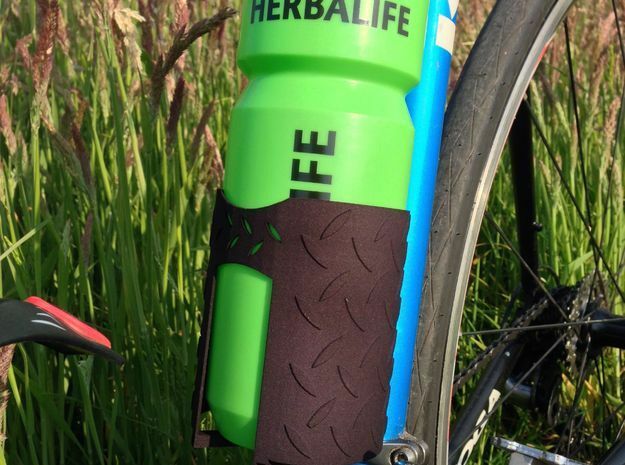 Bottle fender. Just another classy way to recycle. Make that overpriced bottle of water work for you. 10. 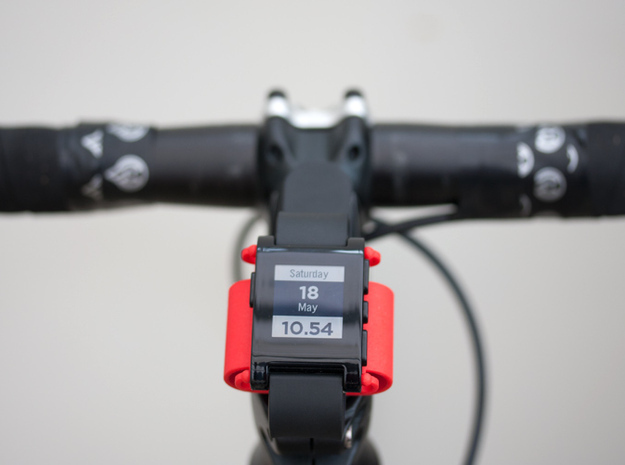 Pebble watch bike mount. 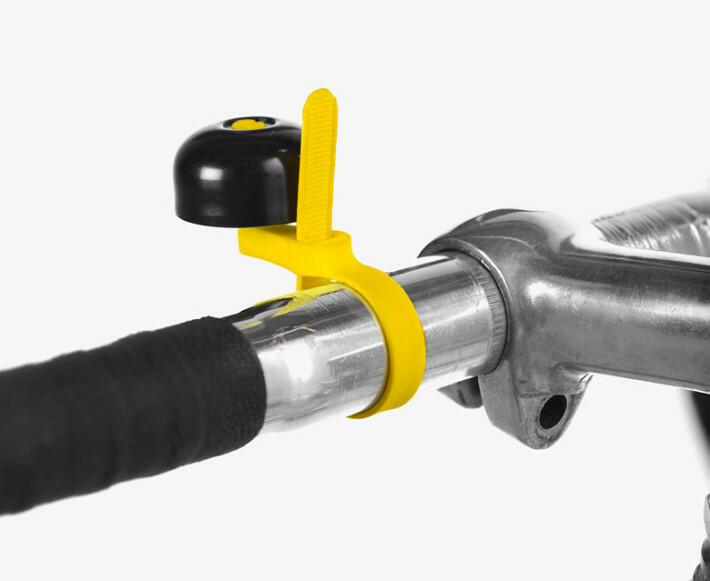 No more one-hand-driving or pocket digging on the road. Hello, world. 12. 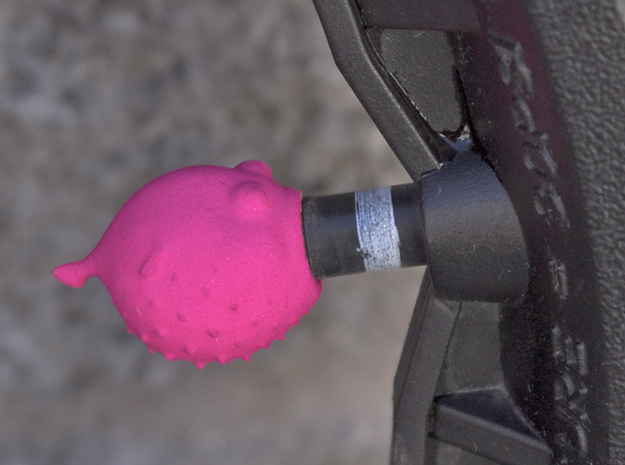 Friction shifter. Stay in better control. 13. Valve caps. 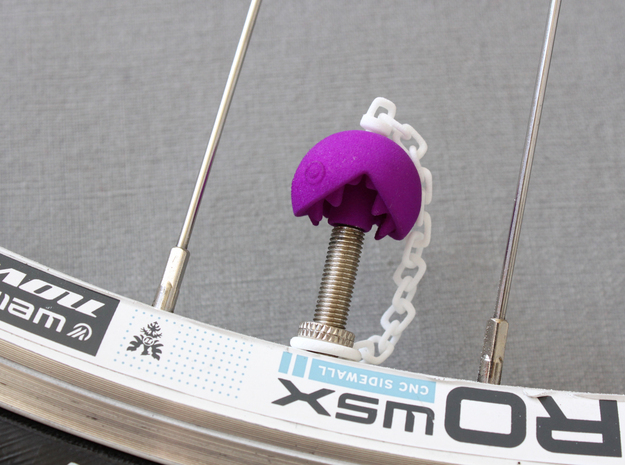 If you have trouble choosing, you'll have a lot of trouble with 3D-printed valve caps. 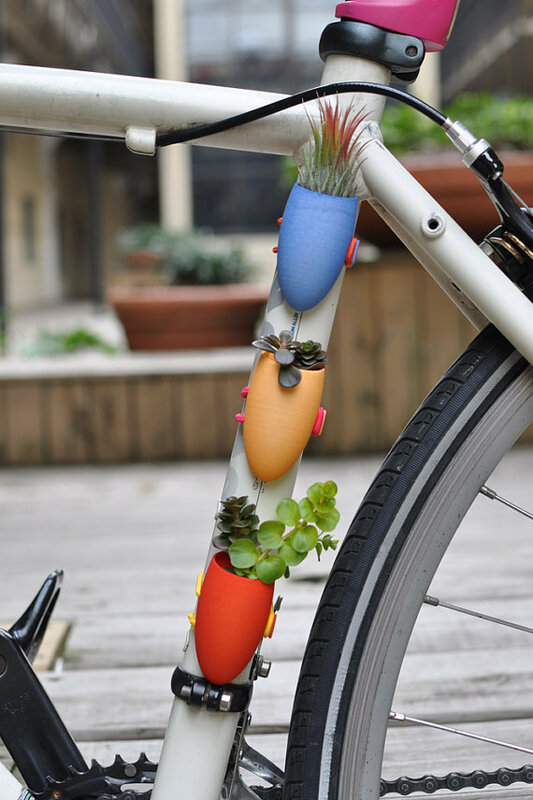 There are tons of clever designs! 15. Bike rack. 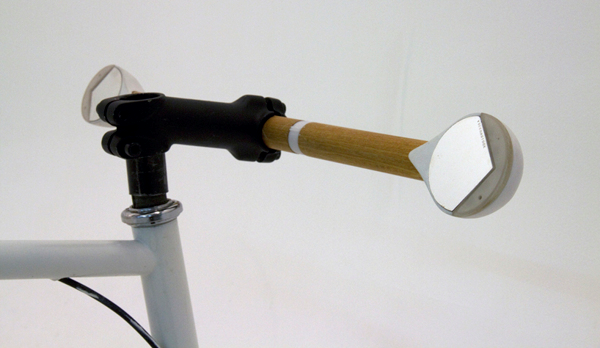 Meet Clug, the awesome, cozy hug for your bike. 16. 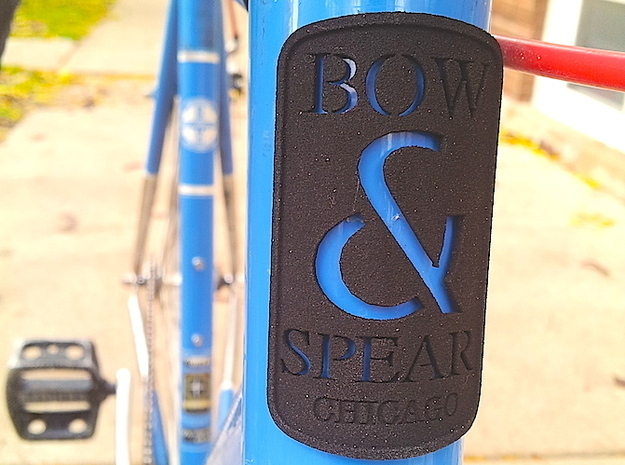 Bike headbadge. 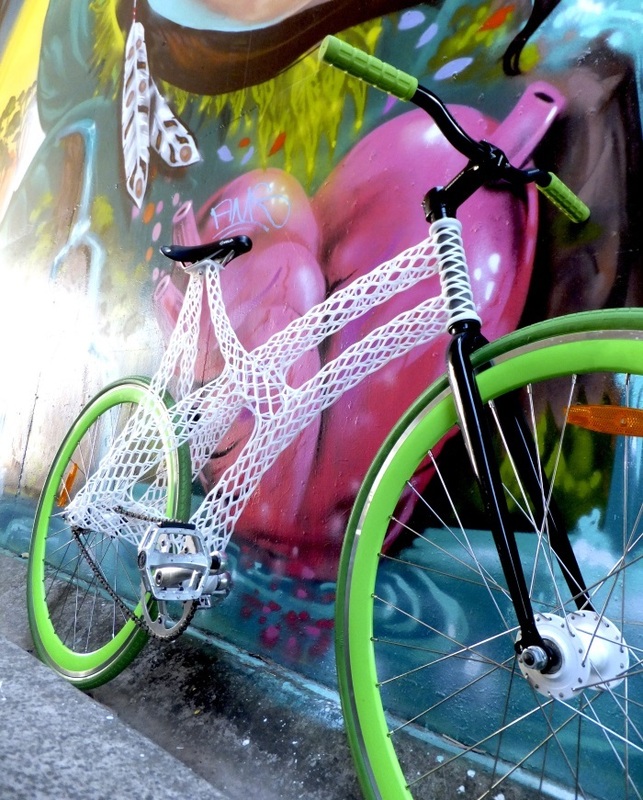 Give your bike an authentic look. Just because you can. 17. Chain catcher. Why not keep your hands clean? 19. Road popper. No one is going to throw a party without you present, promise. 20. 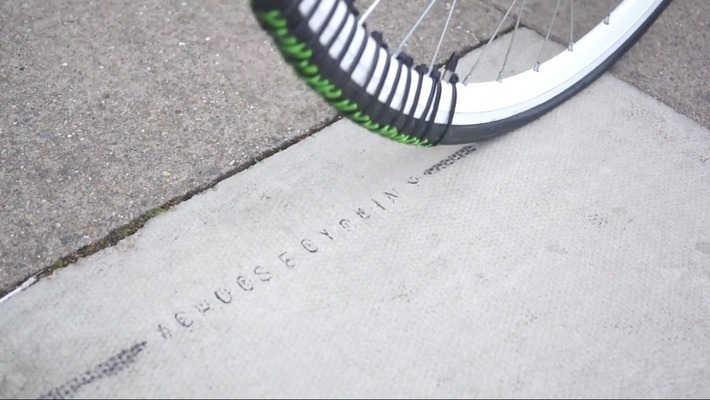 Bike stamps. When you worry that you won't find your way back, or planning to have just one drink. 21. 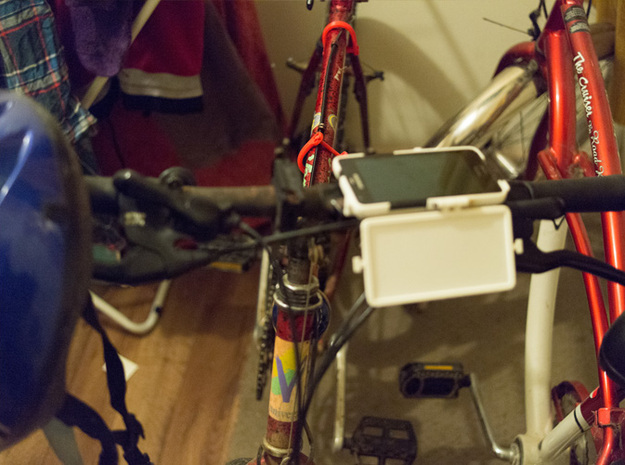 All kinds of bike mounts. Do you go by the name of Mr. Gadget? That's okay, there's a mount for everything. 22. 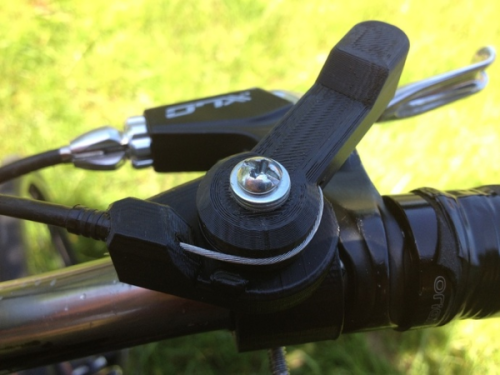 DIY Ride & Rock bike stereo system. The ultimate disco on wheels. You are welcome. 23. Trouser clamp. Let it rain, let it rain, everything's under control. 24. 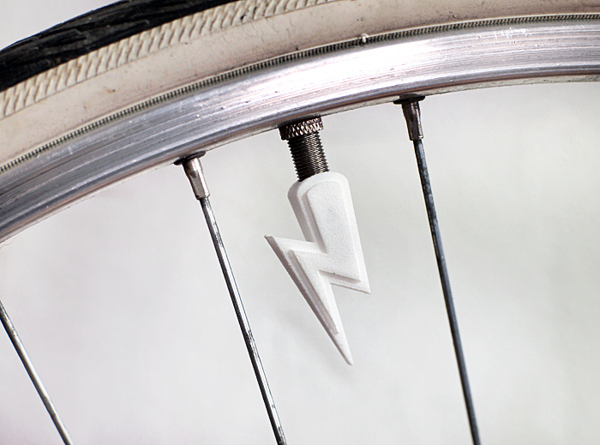 Zap-strap bell. Don't go unnoticed, even if you can. 25. 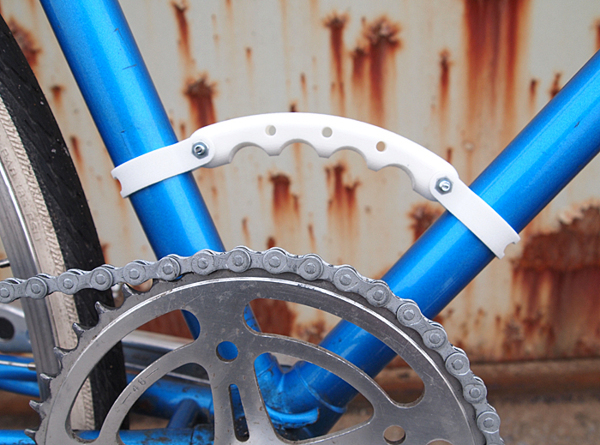 Bike frame. 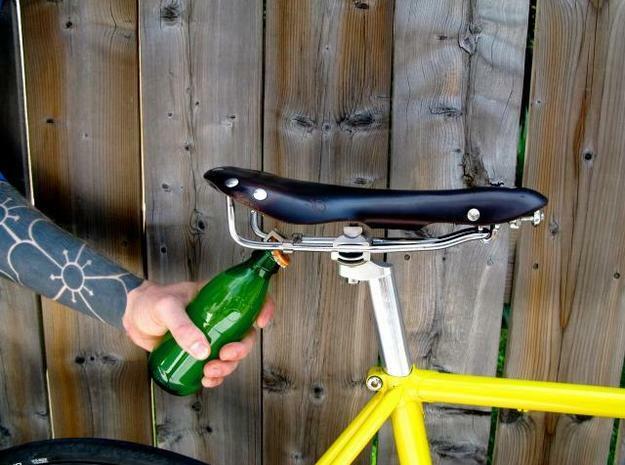 You already have a pretty-well-functioning bike frame, but this is just ultimate swag. 26. 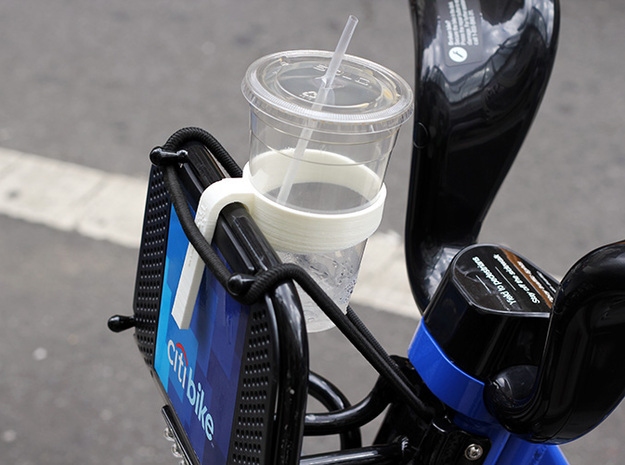 Cup holder. 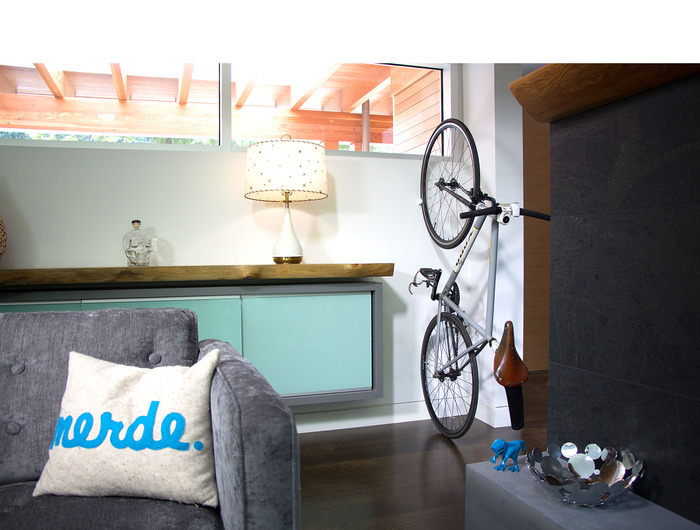 If you're just an occasional rider, this is for you. Go off the road, though. Or get hissed at. 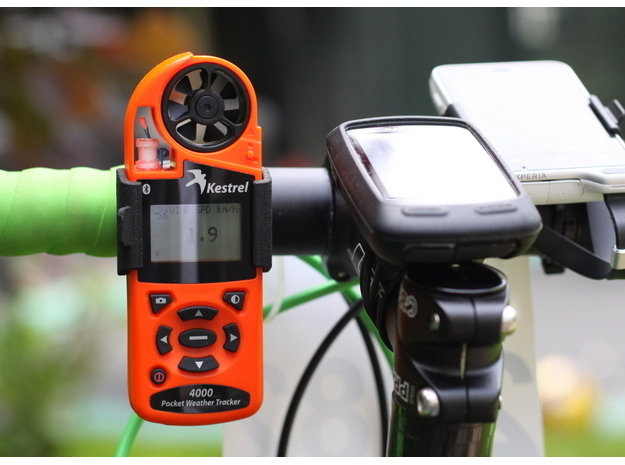 Have a better idea how to make urban cyclists' lives easier? 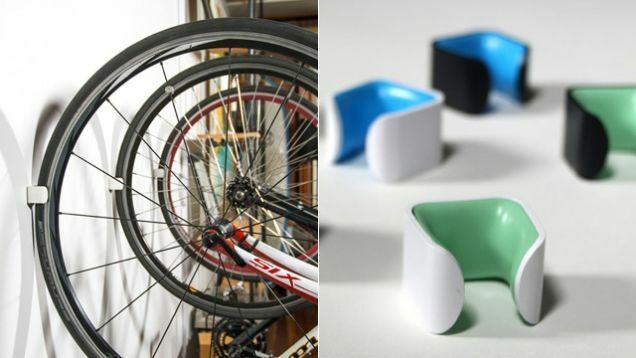 Enter the 3D Printed Bicycle Accessories Challenge to win amazing prizes.